This is a composition I did as a project to represent juxtaposition. It was particularly challenging because juxtaposition has to have context and be somewhat recognizable and at the same time be a bit odd. 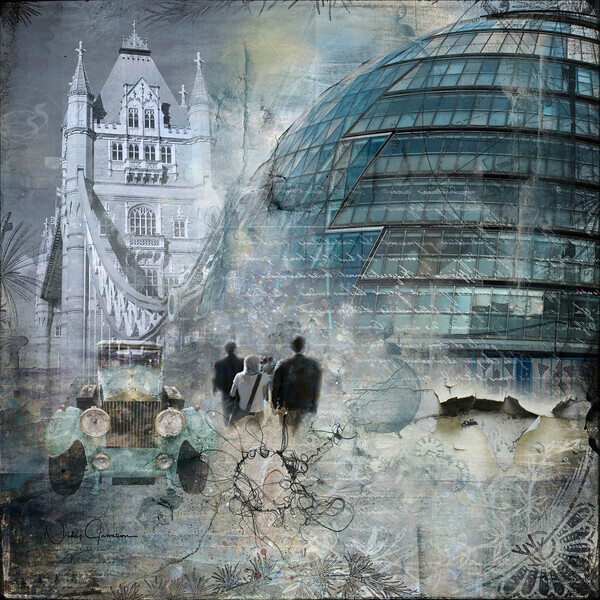 To make this composition I combined several of my photos and used blending modes, masks, paint elements, brushes and some vintage to contrast the old Tower Bridge and the very modern London Assembly Building. I extracted the people from another of my London photographs. I chose the colour palette to give a "spacey" feel to the composition. Plenty to see, enjoy the view.